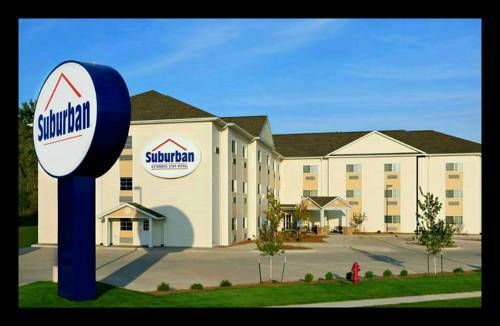 The Suburban Extended Stay hotel in Coralville is located just one block north of the Coralville Mall and just 3 short miles from the University of Iowa. Each efficiency studio comes with a fully equipped stainless steel kitchen that includes a full range, microwave, refrigerator and dishwasher. All studios offer a complete kitchen package that includes pots, pans, a 4-person place setting, and bake ware. All of our studios also include a 32-inch wall-mounted flat-screen television with a full cable line up. While a guest at the Suburban Extended Stay hotel in Coralville, you can enjoy free wireless high-speed Internet access and a free business center. Limited service hotel.